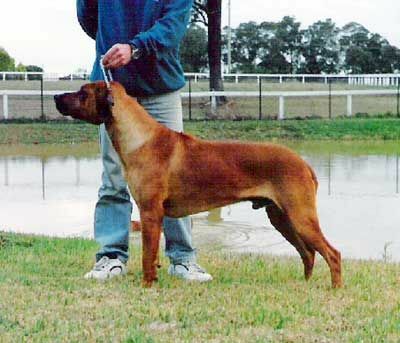 These Ridgebacks were the start and foundation of Elangeni. It is to them that we owe all the beautiful dogs that we have today. Larry was our first RR. He was the dog that Daryl learnt to Show with and he was Linda's first baby! He was a beautiful dog who loved to camp out and go to country Shows. Hero was a beautiful dog and was Emma's special friend. 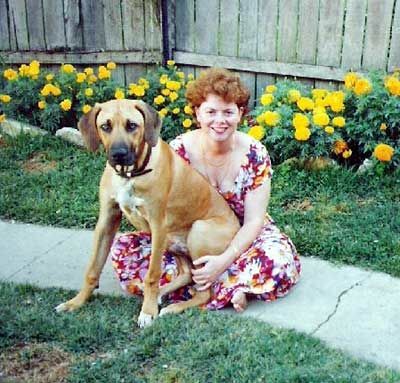 Yindi was never owned by us though he lived with us for a period of time, he was always owned by Myron and Jenny Arthur (LWillows.) 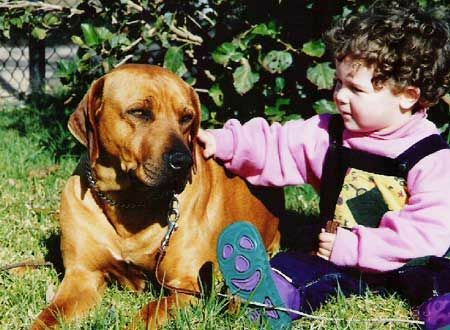 Yindi was an exceptional Show Dog who did some fantastic winning in the early-mid 90's. Yindi was always shown by Daryl. Yindi was our foundation sire and sired some beautiful pups for us.